Nan’s story begins when she was 12 days old. 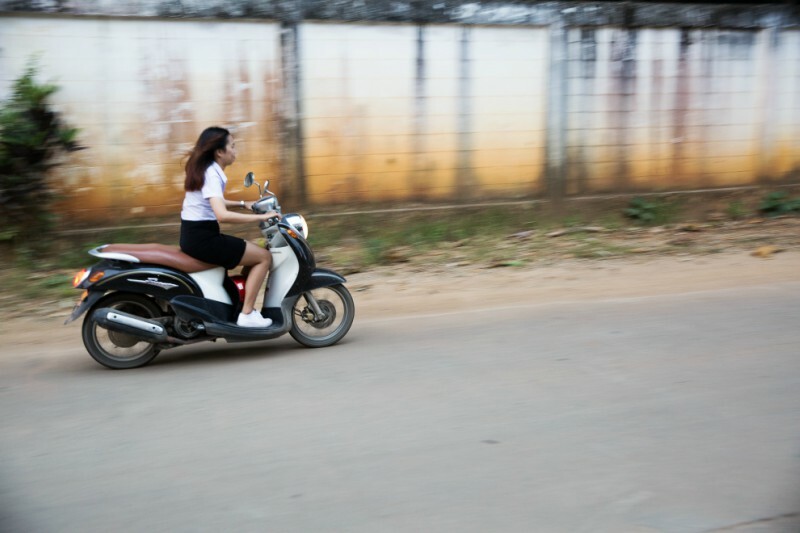 Her parents left Northern Thailand and moved to Bangkok to find work, leaving Nan to be raised by her paternal grandparents. At age 21, Nan is now the oldest of four children, with a younger sister in 12th grade, a brother in 6th and youngest brother in kindergarten. Because her entire family depends on Nan for financial support, she works part-time at a local pizza restaurant when in school and full-time in the summers in Bangkok. Despite the overwhelming pressure of the financial responsibility falling on her shoulders, she still has a keen eye on her future and dreams of a better life and will not give up until that dream becomes a reality. Nan’s drive to succeed started at a young age. When faced with having to end her education after 6th grade (as school is no longer subsidized by the government), 12 year old Nan decided to take matters in her own hands. She wrote a letter to The Freedom Story explaining her difficult situation and she was quickly accepted into the program. This became a pivotal moment. At Freedom Story, she was able to continue with her education and participate in the after school program. Everyday after school she came to the center to play with her new friends, cook and pray. Beyond the financial support to stay in school, the staff, her mentor and the other children encouraged Nan to keep working hard towards a bright future. 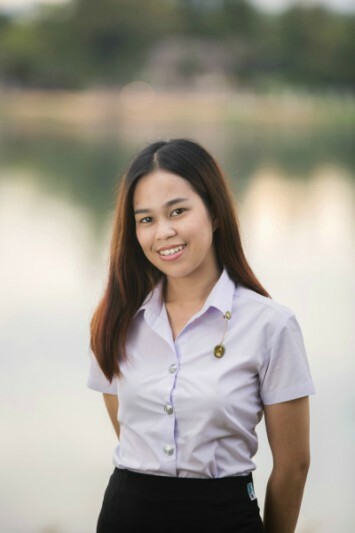 Today, Nan has focused all her efforts on becoming an English Teacher and is in her third year at the Rajabhat University in Chiang Rai. 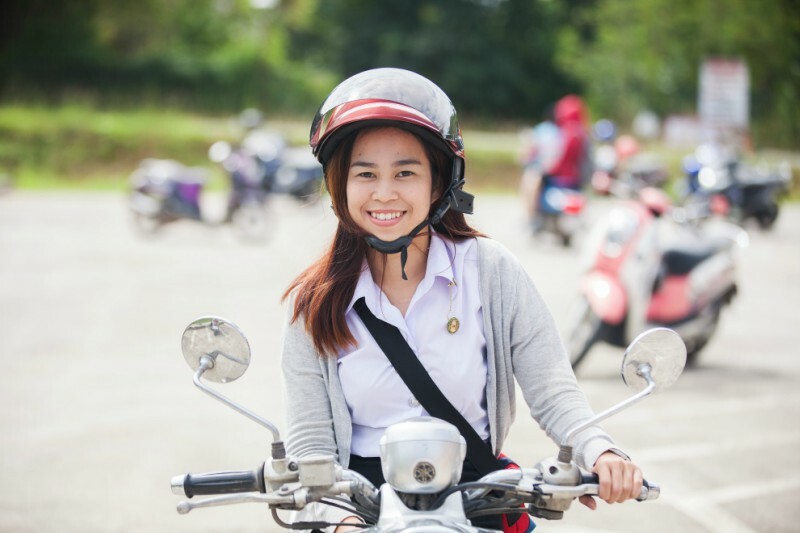 Because of the sponsorship from The Freedom Story, all expenses involved in attending university have been fully funded: from the dorm where she stays to the motorbike she drives to school. Her mentor, Khae, still meets with her frequently for encouragement and friendship. She also gets to reunite with her peers at Freedom Story at the monthly group functions when they get together and have picnics or meet at a coffee shop. Nan has a very busy schedule these days. When not at university, studying or working, you are likely to find Nan with her headphones listening to music or at a coffee shop having fun and giggling with her friends. When she needs to find peace and emotionally recharge, she often visits her favorite park where she can feed the fish and take a long walk. 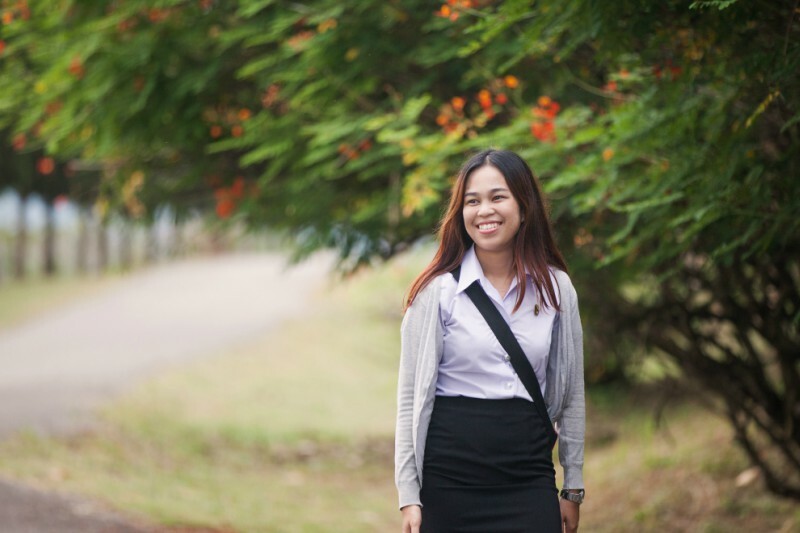 While she faces an overwhelming number of obligations and deadlines, she continues to work hard towards her dream of being a teacher. She wants to work abroad in the United States and has passed the test to be a Foreign Exchange Student through AFS (American Field Service), but cannot afford to go. She even considered working as a nanny in the U.S. to enable her to participate in the program. For now, with only two years left of her program, Nan has decided to focus all her energy into graduating with a degree in Education. The Freedom Story works with children who are at high risk of exploitation by providing financial resources to pursue education as well as mentoring and emotional support. Children living in poverty with one or both parents unable to provide basic needs are at the highest risk. Each year, The Freedom Story works with the local communities in Northern Thailand to identify children at the highest risk and works to get them involved in the scholarship program through sponsorship. Join us on the 10-year anniversary of The Freedom Story as we celebrate a decade of child trafficking prevention. 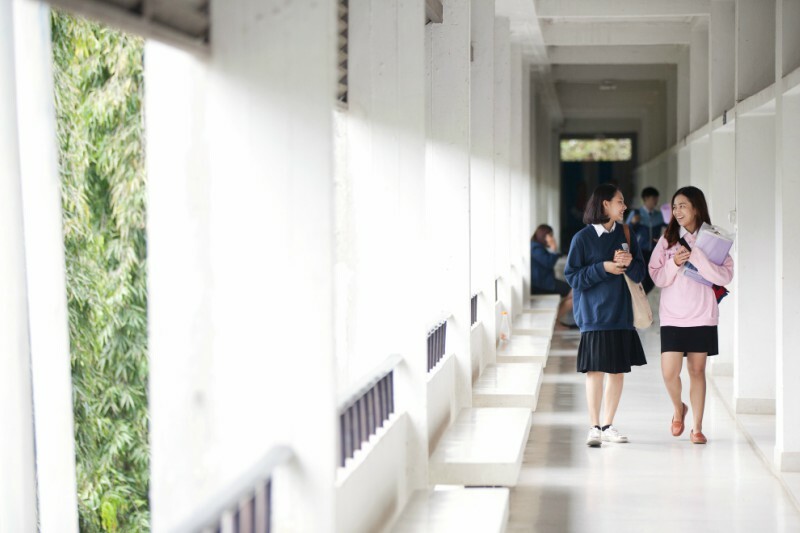 Help us achieve child trafficking prevention by teaching human rights, raising awareness and understanding, and facilitating healing in the Chiang Rai region of Thailand. Please consider donating your support today!